In the world of bookmakers, diversification is usually a good thing. The more sports or sporting events a bookmaker offers, the better it is viewed by the general public – at least, that’s what the reality used to be until recently. But with all these new companies hitting the market at the same time, the online betting industry has hit a certain standard. All online bookmakers look very much the same, in terms of website, visual cues, offers, even markets. In this sea of good, but dull options, a few brokers do stand out. And some of these online bookmakers have decided that offering too much of too many domains isn’t a good business idea. So, they decided to tone it down and focus on a single sport. This is, in short, the story of RaceBets. Founded in 2005, it has enjoyed quite some success both in the UK and Germany. This success has got the attention of Betsson, which purchased RaceBets.com in 2016 to extend their portfolio. As their name suggest, RaceBets is a bookmaker entirely dedicated to horse racing. While many others on the market offer horse racing bets to their customers, none have the expertise, coverage and passion that RaceBets has shown for this sport. Therefore, a giant like Betsson bought them but hasn’t altered their business stance in the slightest. They’re still local leaders in the horse racing betting industry in the UK, Germany and Ireland. 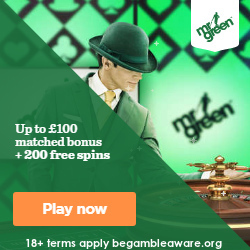 Get Your £50 Bonus Now! RaceBets’ bonuses come in all shapes and sizes and are catered to a wide variety of their client base. But there’s one bonus which applies to almost all categories: the welcome bonus. Much like other, more traditional, bookmakers, Racebets offers a 100% bonus on a new customer’s first deposit, up to £50. The bookmaker offers in-depth coverage of horse racing from more than 40 countries – significantly more than any of their different competitors. Their customers can choose a race to bet on from a staggering 250,000 races each year. Out of these races, a large number can also be viewed using the live streams on the company’s website, which makes the entire betting process that much more exciting! And as an added benefit, the German Racing organization is a large shareholder in the company. This means that a significant part of the profits are re-invested into the sport, which we all know is in dire need of funding. One of the main things which separates Racebets from their competitors is the extensive coverage of horse racing events. Contrary to popular belief, betting on horse racing is quite popular. In fact, only betting on globally-played sports like football, tennis, basketball or ice hockey is more popular than betting on horse racing. In Europe especially, the sport has quite a few followers, but it does have an extra niche which makes it extremely interesting for the betting market. In the case of most sports, there is a significant number of viewers who enjoy watching the sport without any monetary incentive which comes from betting. This is simply not the case with horse racing – the tradition, all across the globe, from London to Hong Kong, was to go to the track and place some money on a horse or too. It has always been almost synonymous with betting. And while we don’t have to visit the track anymore, all people who like to watch horse racing on TV or the Internet also like to place a few bets, as easy and convenient as possible. 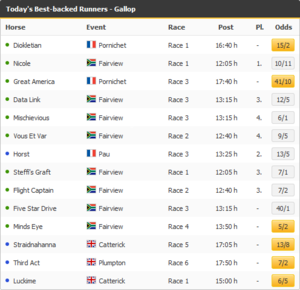 The bets that RaceBets offers are also quite interesting. From classic, winner-type bets for all the races available on the website to unique, season-long wagers which can entice any betting enthusiast. Not only the large selection is important, but also the odds. These odds are some of the best we’ve seen on the horse racing market, which gives any of their customers a much-needed extra incentive to play with RaceBets. When selecting a bet, the amount of information offered directly (like the age and weight of a horse or a jockey) is also very useful. Last but not least, we also have to give credit to the excellent way in which the website is structured. One could easily filter the races by the day in which they happen, their country of origin, or the type of race (gallop, jumps, trot, and even greyhounds). Speaking of the website, we have to say that it could easily compete in terms of scalability and performance with the best we’ve seen in the entire betting market. The “streams” category is particularly interesting, with lots of races being transmitted live with little to no delays or technical glitches. The “Statistics” area is also of great help to bettors, for obvious reasons. And to make matters even simpler, all the active bonuses that RaceBets offer their customers are packed into an “offers” page, together with their terms and conditions. When it comes to interacting with their customers, there are a few things we want to highlight. First and foremost, we were impressed with the large number of deposit and withdraw options that RaceBets allow. Apart from the usual credit or debit card, you can also use e-wallets such as Skrill or Neteller, or even PaySafeCard. However, take special care when choosing some more exotic ways of depositing money, because using Skrill might not qualify you for certain bonuses. More information on this topic can be found on either the “Offers” page or reading the bookmaker’s terms and conditions. Another critical aspect of a bookmaker is their customer support. With over 60 employees working at the company’s headquarters in Malta, support is both timely and of high quality. Even website changes take very little time to be passed through. If you want to contact RaceBets.com, you can do so by e-mail using the built-in contact form or using the live chat present on the website. We strongly recommend the latter – not because the e-mails don’t work, but because a live discussion with a RaceBets employee takes a lot less time. To sum up, if you’re looking to place some money on horse racing, RaceBets should definitely be your first stop. There’s nothing quite like a specialized bookmaker which knows everything about a certain sport and the people who want to place bets on it, and RaceBets is exactly that type of bookmaker. Their passion, knowledge and great offers makes them an industry leader.